When I was in college and would walk through the student center, every club imaginable would be trying to sell awareness ribbons for fifty cents each, which would go to the charity of their club. Some clubs had giant poster boards, full of all the rainbow of awareness ribbons; it was quite an image. I ended up with a breast cancer ribbon on my jacket (still there! ), a stem cell research/Parkinson's research ribbon on my Vera Bradley camera case (also still there), and a red AIDS awareness ribbon on the bulletin board of my dorm room. I loved these ribbons, because, as silly as it sounds, they always made me stop and think, and be grateful for what I have. However, ribbons fade, they tear, they break, eventually. Which is why, when I came across Shades of Awareness, I was so, so excited to share it with you all. Michelle is the amazing designer behind all of this awareness jewelry. 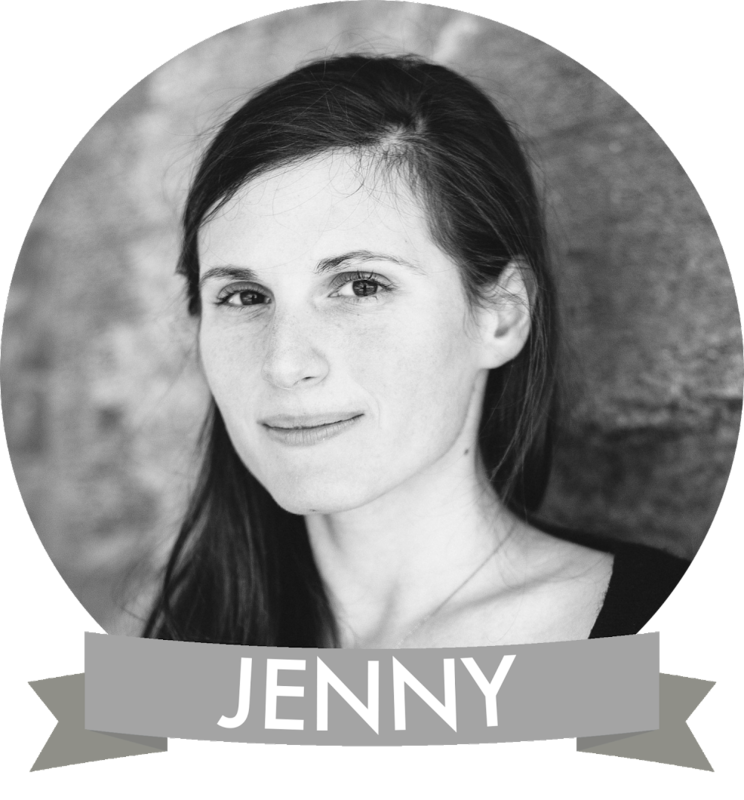 She started Shades of Awareness after being diagnosed with Chronic Lyme disease. 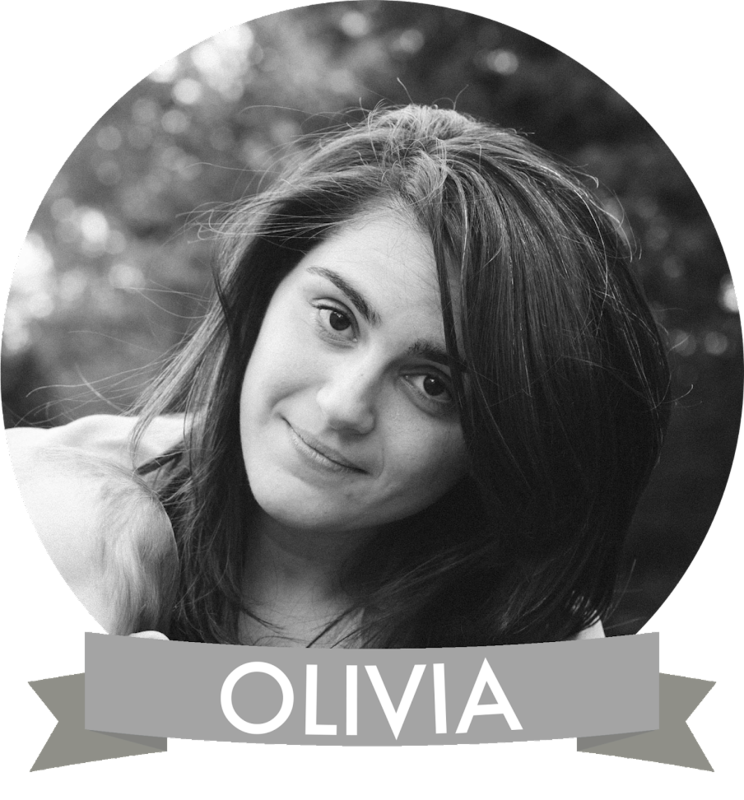 She hand crafts each piece of jewelry in her home in Rhode Island, and loves to create pieces for fundraisers, as well. Further, you know how we love giving back at Lovely, and so does Michelle: a portion of all sales goes to Reece's Rainbow, an organization which "seeks to find families for the most vulnerable of orphans throughout the world and also to help the families once they have committed to adopt to raise funds to assist with adoption costs." Not only is Michelle creating gorgeous jewelry, with causes in mind, but she's giving back to the world around her...oh, and she's giving away here at Lovely today, too! 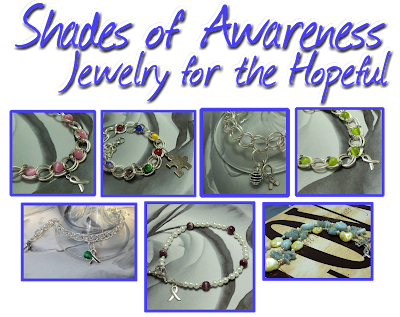 Shades of Awareness is excited, in honor of Maya's walk, to giveaway an Arthritis Awareness Bracelet to a lucky Lovely reader! Silver plated double-link bracelet features dark blue fiber optic cat's eye beads(6mm) which are wrapped in 26 gauge wire. Each link is 12mm wide (outside to outside). Silver plated awareness charm (measures 1/2" from top to bottom). Adjustable clasp (silver lobster claw) can extend bracelet to 8." 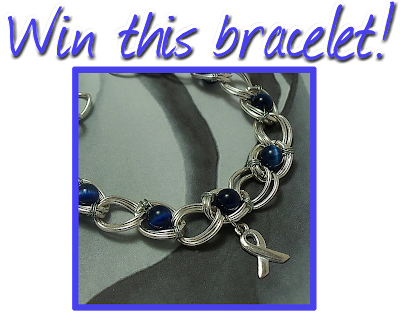 How can you win this gorgeous bracelet? It's so easy! Head on over to Shades of Awareness and take a peek around. Then, come back here and comment on this Lovely post with your favorite piece from Shades of Awareness. You must include a way to contact you in case you are the winner! You may enter as many times as you want. For additional entries: Friend Shades of Awareness on Facebook and let us know in a comment. For yet another entry: Friend Lovely at Your Side on Facebook and let us know in a new comment. The contest will end on February 15th, at 12 PM EST. A winner will be randomly picked and announced the next day. Good luck! *What Color is Your Cause? And find more colors for causes here! Updated: We have a winner! #26: "I like a lot of them but the Fibromyalgia, Lupus, Pancreatic Cancer Awareness Dark Purple Amethyst Bracelet is really pretty and I have Fibromyalgia." Thanks for playing, everyone! My favorite is the cervical/ovarian cancer bracelet, for 2 main reasons. The first is that my grandma died in ovarian cancer, unfortunately, so it's always gonna be a personal issue for me. The second one is that this shade of green is one of my most favourite colours ever. I also follow Shades of Awareness on fb. And I follow you on fb, too. Oh wow, Etsy is basically my favorite thing ever. I love the idea of these bracelets. My mom's friend makes bracelets for those going through chemotherapy. Similar idea. Anyways, my favorite piece is probably the Red Sesame Jasper and Hematite Root Chakra Bookmark. So useful and pretty! I am glad I saw this post. My grandma has Alzheimer's and I would love to get my mom the corresponding bracelet. My favorite bracelet is the "Parkinson's Disease Awareness Silver Freshwater Pearl Bracelet"
My favorite item is Gemstone Healing Chakra Meditation Bracelet. I like the Citrine and Freshwater Pearl Leukemia Lymphoma Awareness Bracelet, the colors speak real elegance! Thanks for the lovely giveaway, the bracelet is equally gorgeous! I love the "Colon Cancer, Arthritis Awareness Blue Sodalite Bracelet". I'll be thrilled to have this piece! Fave "Lovely at Your Side" on Facebook. I like this one best http://www.etsy.com/listing/62995726/heart-disease-hypertension-awareness-red ! I'd go for this one http://www.etsy.com/listing/66928973/thyroid-disease-trisomy-18-prostate. I can relate to it such that I have hormonal imbalance. I like the autism, aspergers awareness silver bracelet. My son has aspergers. Thanks for the chance to win this gorgeous bracelet! I suffer from arthritis as do both my parents. My other fave item from the collection are the IVORY CREAM LAMPWORK earrings. In memory of my friend Diane who died of breast cancer, and in support of my other friends Elaine, Cindy, and Paula who have survived, I like the pink bracelet. 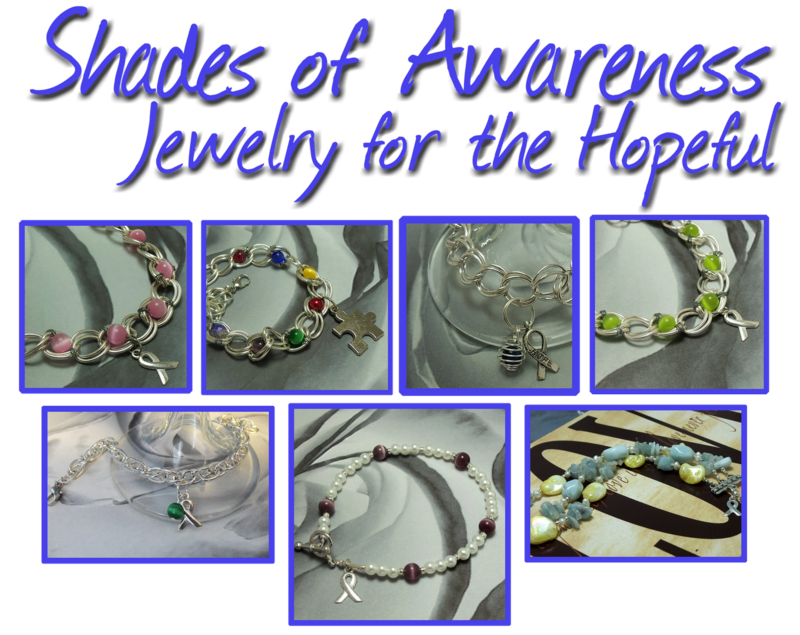 My favorite is the Lyme Disease, Babesia, Celiac Disease Awareness Silver Chain Bracelet! I like a lot of them but the Fibromyalgia, Lupus, Pancreatic Cancer Awareness Dark Purple Amethyst Bracelet is really pretty and I have Fibromyalgia. I enjoyed reading about Shades of Awareness. My favorite is the Anorexia Bulimia Awareness Lapis Lazuli Bracelet. 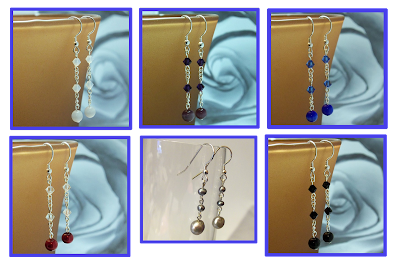 I like the Parkinson's Disease Silver Freshwater Pearl Awareness Earrings. Like "Shades of Awareness" on FB - FB name - Roanne Bacchus. 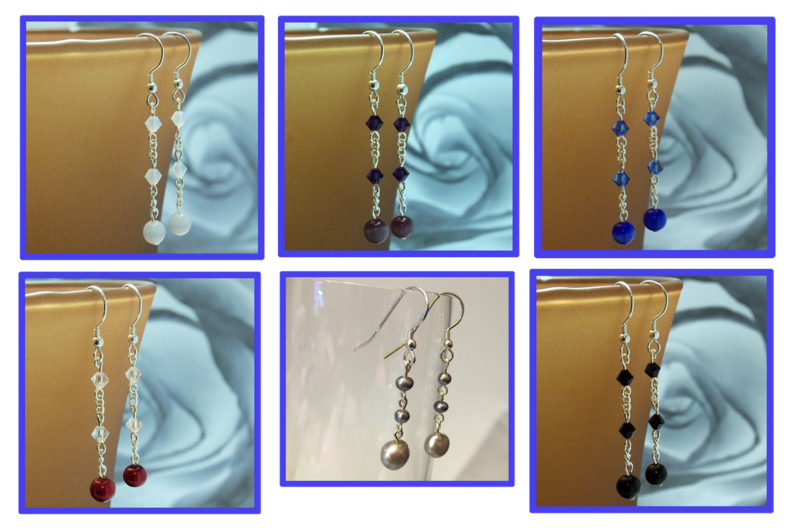 I like the Autism Asperger's Syndrome Awareness Swarovski Dangle Earrings. My favorite item is the "Gemstone Healing Chakra Balance Bracelet". I like Shades of Awareness on FB as wunderfraulein. I like Lovely at your side on FB as wunderfraulein. the bulemia awareness bracelet is my favorite- its a disease that has impacted my life and I'm glad to see that someone is helping to spread awareness!